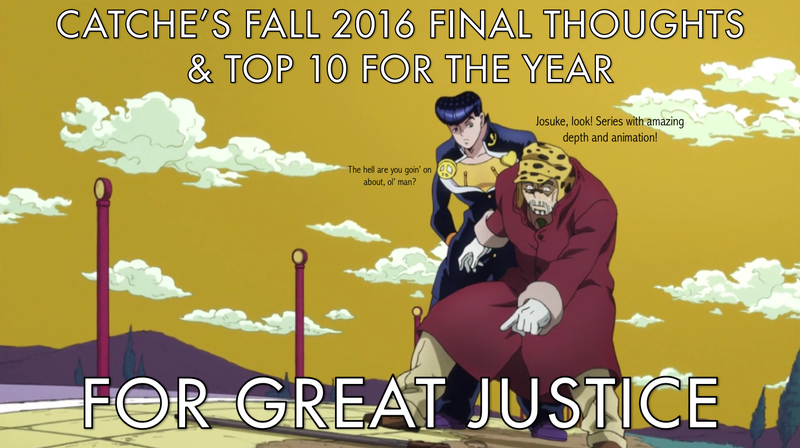 So, 2016 has ended, and with its ending we have a chance to look back and examine all of the anime that came out this year. Now, 2016 actually ended a couple weeks ago, so I’ve decided to make it up to all you faithful readers out there by analyzing this year in the best possible way: By sorting my favorites into an numbered list, as well as having a quick look back at the Fall season. “Why only the Fall season?” I hear you ask. Well, because I only wrote for this blog during that season.